Burke recorded 29 points (11-20 FG, 4-6 3Pt, 3-3 FT), 11 assists, six rebounds and two steals across 32 minutes in Wednesday's 117-109 victory over the Celtics. Burke has been lights out scoring the ball over his past four games, averaging 25.8 points per game on 59 percent shooting. 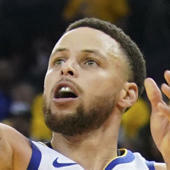 Wednesday marked another step up in his game, as he logged his first game of the season with double-digit assists, recorded a season-high rebound total, and hit a dagger three late in the game to secure the team win. Burke is producing off the bench like a starter right now, and it might not be long before he makes that jump into the top five.